Watson Ads are an industry-first advertising product that use Watson technology to help brands have one-on-one personalized dialogues with consumers at scale, deliver more relevant information than previously capable in an advertising unit, and help marketers uncover consumer and product insights faster than ever before. 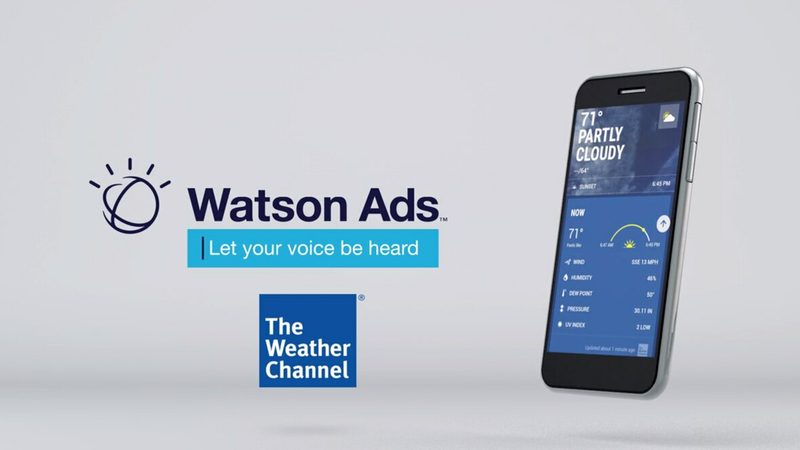 Watson Ads are available exclusively on The Weather Company app and on weather.com. Watson Ads are trained to listen to questions and inputs then deliver a response that is unique to each consumer, deepening engagement and driving brand loyalty. Utilizes Watson self-learning capabilities to provide unique responses based on user input. Watson Ads acts as a focus group that creates new, actionable data and insights that generate deeper understandings about consumer preferences, non-intuitive product questions, and emerging trends.